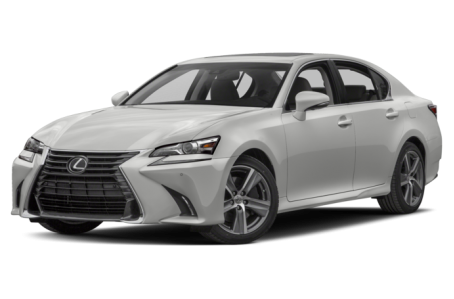 The 2018 Lexus GS 350 is a midsize, luxury sport sedan that is positioned between the GS 200t and GS F. Two trims are available: the base model and the F Sport. Powering the GS 350 is a standard 311-hp, 3.5-liter V-6 engine mated to an 8-speed automatic transmission and rear-wheel drive (RWD). A 6-speed automatic and all-wheel drive (AWD) is also available. However, the F Sport only comes with RWD. It competes with the Lincoln MKZ, INFINITI Q70, and Cadillac CTS.